We’re pleased to announce J. Thaddeus Grams has been selected the first recipient of the department’s Mary Whiton Calkins Undergraduate Award. This new award was created to honour Mary Whiton Calkins, an American psychologist and philosopher who was among the first generation of women to enter into psychology at the turn of the 20th century. Calkins was a skilled student in her field and despite fulfilling all of her requirements, Harvard would not grant a her a degree because she was a woman. Inspired by the obstacles that Calkins’ faced in her education and career, a group of UBC psychology undergraduate students campaigned to establish this award to recognize and honour her remarkable achievements. 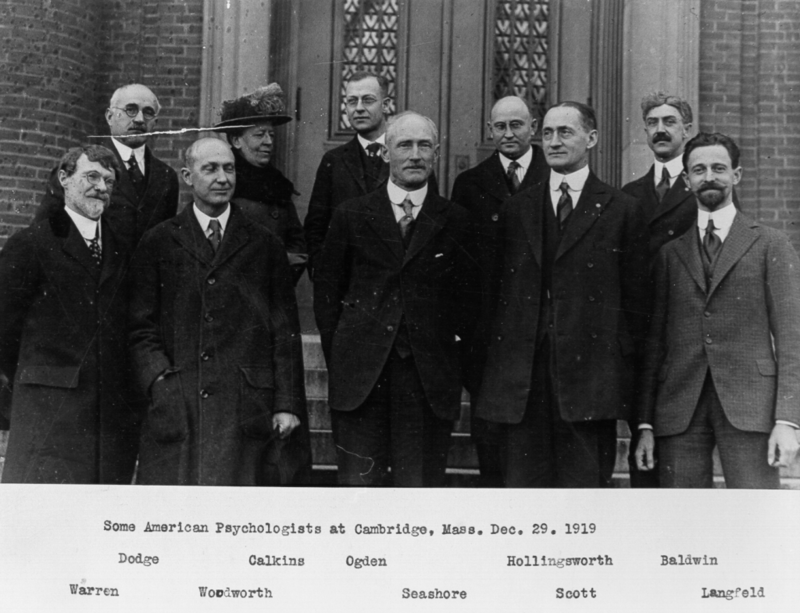 Mary Whiton Calkins was among the first generation of women to enter into psychology. As such she faced and overcame challenges and obstacles in her academic pursuits. Although likely not as difficult a challenge, I can relate to this story as a mature student. Beginning my undergraduate studies in my 30’s I faced the challenge of social and the personal self-stigma of being an older student, as well as juggling the familial and financial responsibilities of adulthood and being a husband. With grit and determination, I overcame my self-stigma to be successful in my undergraduate studies, and am now working towards my next challenge, getting into medical school. Thank you UBC Psychology and Philosophy for your selection of courses and excellent faculty. I appreciate the recognition of my hard-earned efforts, and I will continue to learn and apply my knowledge and skill set in a manner that is fitting to the memory of Mary Whiton Calkins. “The students felt that founding this award is a significant first step in recognizing the groundwork Mary Whiton Calkins established in psychology and in gender equality,” says Dr. Alan Kingstone, a professor in the department of psychology, who worked with the students to establish the award. “This award supports and reinforces the importance of living in a society where all people have the opportunity to learn and pursue their academic interests,” says Kingstone.